This is a pretty interesting way to make socks, but I don't think I'll make another pair. Also I'm concerned about the longevity of these guys. 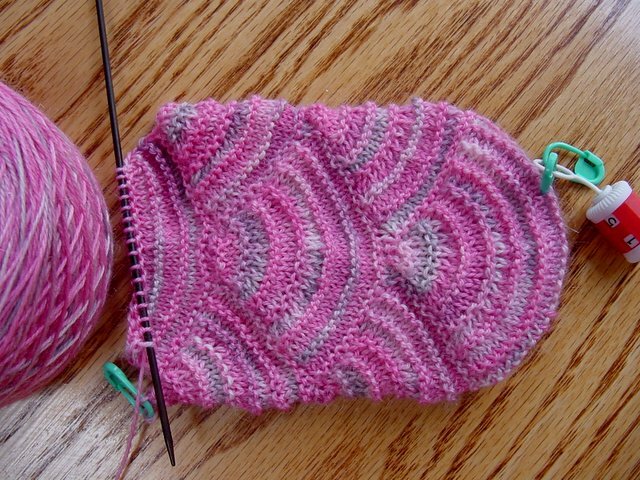 Using #1 dpns with Twinkletoes from Joslyn's Fiberfarm.